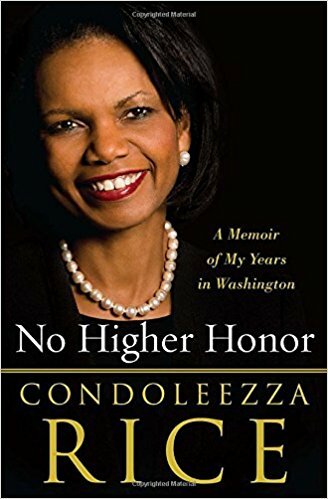 "Condoleezza "Condi" Rice is an American political scientist and diplomat. She served as the 66th United States Secretary of State, the second person to hold that office in the administration of President George W. Bush. 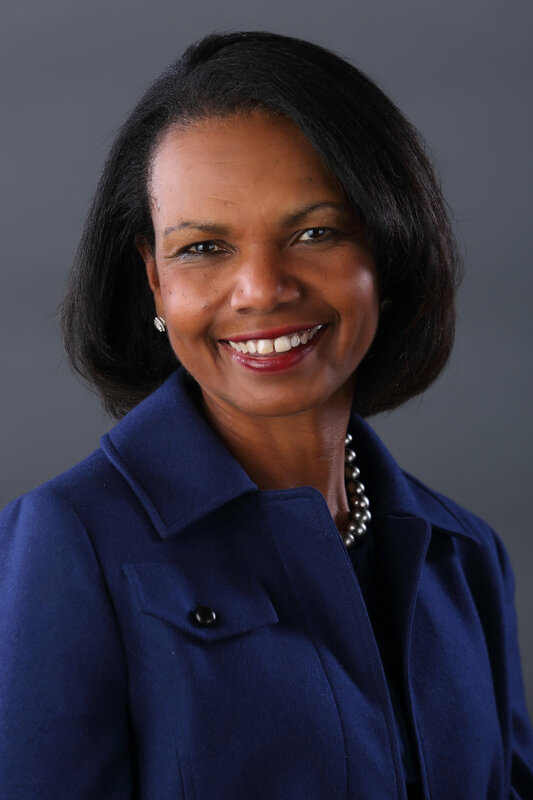 Rice was the first female African-American Secretary of State, as well as the second African-American Secretary of State (after Colin Powell), and the second female Secretary of State (after Madeleine Albright). Rice was President Bush's National Security Advisor during his first term, making her the first woman to serve in that position. Rice was born in Birmingham, Alabama, and grew up while the South was racially segregated. She obtained her bachelor's degree from the University of Denver and her master's degree in political science from the University of Notre Dame. She worked at the State Department under the Carter administration and then pursued an academic fellowship at Stanford University, where she later served as provost from 1993 to 1999. On December 17, 2000, she left her position and joined the Bush administration as National Security Council as the Soviet and Eastern Europe Affairs Advisor to President George H. W. Bush during the dissolution of the Soviet Union and German reunification. As Secretary of State, Rice traveled heavily and initiated many diplomatic efforts on behalf of the Bush administration; she holds the record for most miles logged in the position. Her diplomacy relied on strong presidential support and is considered to be the continuation of style defined by former Republican secretaries of state Henry Kissinger and James Baker. After the end of the Bush Administration, Rice returned to academia and joined the Council on Foreign Relations.